Analysis After years of promises, augmented-reality hype-machine Magic Leap finally revealed its hardware… in the most bizarre way imaginable. The American upstart promised a "closer look" at its Magic Leap One headset earlier this week, raising hopes that it would actually demonstrate a technology that it has been talking about in revolutionary terms since 2016. But just like its fake videos, excited developers were left with an all-too-familiar sense of acute disappointment when the live-streamed hour-long program comprised of nothing more than flowery words and vague promises. 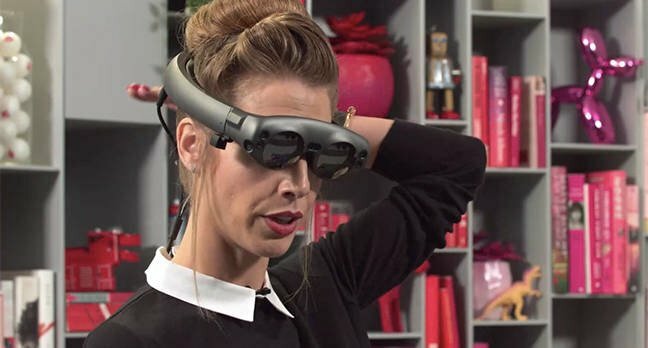 Fifteen minutes in, the program went to a black screen as it "reset the set" and brought out Magic Leap's senior technical marketing manager Shanna De Lullis to show off the headset. Shanna then proceeded to carefully handle the headset, pointing out the cameras, strap, speakers, and so on. She then carefully placed it on her head and, without even turning it on, took it off again and put the headset back down on its special stand. The accompanying online chatroom exploded. "Why did she not turn it on??" asked Satchlikemagic. "Show us a live demo," pleaded Aiursrage2k. "Demo please," asked HamipaL. "DEMO. DE-Mo. DEM-MO," chanted Dsky9. But there was going to be no demo. "WHAT IS THIS MADNESS?" asked Potent_Gamer as the mood suddenly soured. The hosts then talked for another 20 minutes while the chatroom filled with increasingly angry programmers and geeks who felt, with some justification, that they had been duped yet again by a company that has literally never shown off its technology to the public despite years of development, hundreds of millions of dollars in investment and seemingly endless showcases talking about Magic Leap changing the world. 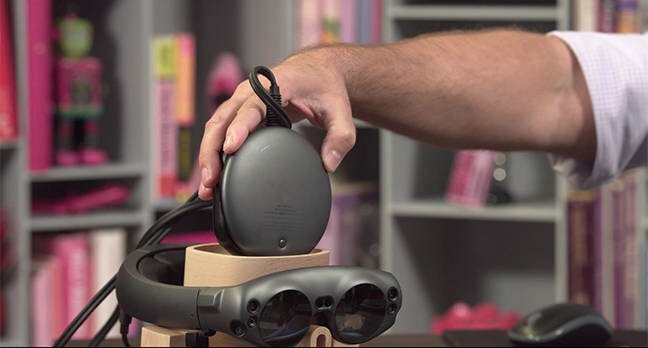 After what seemed like a lifetime, the hosts finally turned to the question-and-answer conclusion of the show, and Magic Leap's "senior technical artist" Alan Noon took the first: "Is this an industrial prototype or does it turn on?" Alan and Shanna assured viewers that it was in fact a real device, and to prove it, Alan reached over and pressed the button on the accompanying power pack. He then show some LEDs light up on the device before noting that the company was "still working on the lights and indicators." And moved on to the next question. "I knew this was going to be a hot topic: can you show us a demo of the hardware?" And the answer, of course, was no. "We are not going to do that today," said Alan. "We are working on that – so please tune into later episodes." Next question: when can I buy one, and how much? Alan again: "We are still on target for a 2018 release. I'm not authorized to say any more than that." It's safe to say at this point that Magic Leap lost its audience. Questions flooded in questioning whether the hardware worked at all, why they wouldn't show a demo, and whether the whole thing was possibly just a scam. Gamely, Shanna tried to deal with it by admitting that the headset she had so carefully shown up moments earlier was not one that is actually used for demos. "This is not one we do all of our experiences on because I wanted to make sure I didn't show you one too beat up," she explained – which only served to infuriate people all the more. "Who cares if it's beat up, it's not actually being showed," complained AboutToCr4sh, before adding: "You piece of ****." The one question that was asked, again and again and again, was about the field of view (FOV) of the device. This is a critical component of any virtual or augmented reality gizmo. In order to be immersive, the broader the field of the view, the better. In everyday life, walking around, human beings have a horizontal field range of 155 degrees and vertical field range of 135 degrees. That is how we experience the world. But that it very difficult to achieve with a headset, and with every degree that that field of view diminishes so does the sense of immersion. In terms of headsets on the market, the most high-end products, the Oculus Rift and the HTC Vive, offer 110 degrees. The lower-end Samsung Gear VR and PlayStation VR offer 100. And the lowest end Google Cardboard offers 90. MagicLeap's main competitor – Microsoft's HoloLens – offers 35 to 70 degrees. Some argue this doesn't matter because it is an AR headset where you see the real world through the visor, and so there is less of a sense of disorientation. But in reality, for a fully enclosed headset, anything less than 90 is going to be a problem. Magic Leap simply refuses to give a figure for field of view. And it has still not allowed anyone but specially selected individuals – often celebrities who have no idea about the AR/VR world and who are made to sign non-disclosure agreements – to actually use the headset. This has led to speculation that the Magic Leap FOV may be as low as 45 degrees – which is the equivalent to a driver's side mirror. It's unlikely that most people will be willing to pay for such a limited AR device, so the question is critical. And Magic Leap's Alan and Shanna resolutely refused to even acknowledge the wall of comments asking for it. "Here's an important one," Alan proffered. "Will Magic Leap stickers be provided?" Cue hundreds of people across the internet groaning. "FOV FOV FOV FOV FOV FOV FOV," reads one of dozens of similar questions. Alan even answered a troll's question rather than deal with field of view. He reads out: "Does the pink dry cleaners' tag provide special functionality?" – referring to a tag on his shirt – "That is branding my friend, that is not a dry cleaning sticker." FOV FOV FOV FOV FOV FOV FOV. "Does it comes with the stand?" Alan read. Shanna responded: "It does not come with the stand but we are working on some additional pieces that you guys will be able to order separately." Eventually, Alan relented, reading out the question: "Can you give us the specs of the device?" And his response? "You're not going to get me with those trick questions." But, taken overall, we think our favorite comment and one that not only confirmed what some people have been saying for years but also neatly encapsulated this latest hour-long pile of nonsense, was just two words. Analysis Buh buh buh buh buh buh buh but her emails! And those texts!